Hello again! Carolee here to share a few of my early Holidaily spreads with you! First up is this full-page intro spread I did. I'm a New England girl living in Los Angeles and I miss snow! I decided to create this page to give me a little bit of that snowy feeling every time I open this TN. I used the Let It Snow paper as my background, then added some die cut snow drifts using a die I'd had for ages. After popping on some stickers, it was all set! Festive and easy! Last but not least is this super silly page. 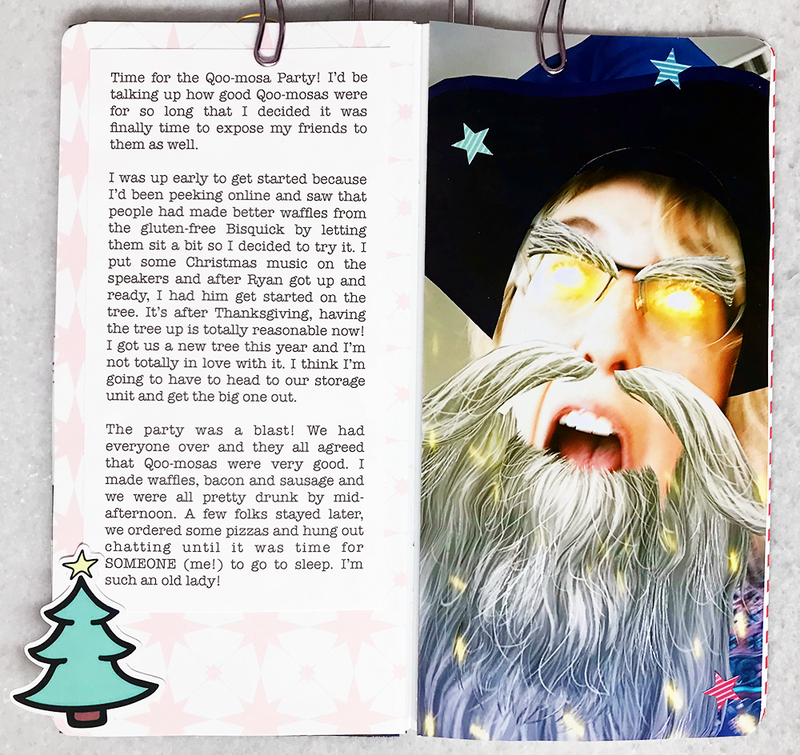 The photo has nothing to do with the journaling, but I did find this silly filter that day and was sending the pictures to my friend during the party. Because the picture was so intense on this one, I went with lighter decorations. The opposite page is the B-side to Happy Holidays and the only decorations I added were the die cut tree (since this was the day we put our main tree up) and the stars from the sticker sheet to add to my magical picture. A silly picture for a silly fun day with friends at home! I hope you liked this look into my Holidaily album. Come back tomorrow for more from one of my fellow design team members and until next time, happy crafting!